The European Mink is a member of the Mustelidae family and is a close relative to the American Mink. They are remarkably similar in both appearance and behavior, because the European Mink entered Europe and the two species are believed to have diverged only during the past ten thousand years. European Minks are medium sized, with long, flexible body, short legs and tail. Their total length is approximately 20 cm, the males being up to 80% larger than the females. Their fur colour is usually dark brown to black, with a similar water-repellent undercoat during the winter. They may have white spots on their throat and chest, also their mouth is usually white. They have adapted to semi-aquatic lifestyle, having partial webbing between their toes, but their eye-sight is not well adapted to underwater experiences and they rely mostly on their keen sense of smell. 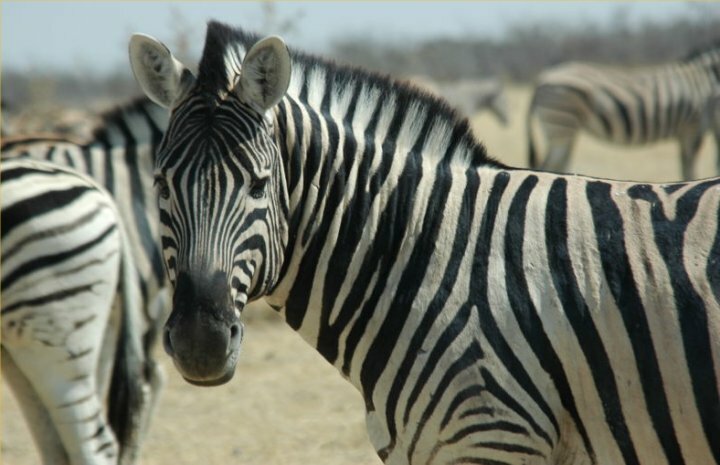 Being highly endangered, these medium-sized mammals inhabit areas close to fresh water, near lakes, rivers or creeks. European Minks live in burrows they dig themselves or inhabit a suited hole or burrow dug by other animals or created naturally. 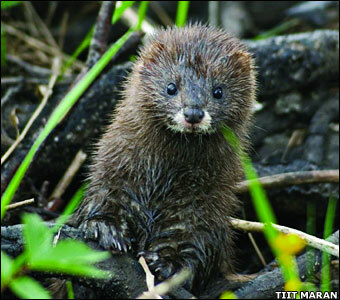 They guard their territories using scent and usually there is one mink per a few kilometres of a shoreline. The European Mink is a carnivore, that is active during the night, hunting primarily on aquatic animals such as frogs and fishes, as well as birds and insects. Their diet is composed of easy prey, much smaller than themselves and they will never try to attack a creature of their own size. In times of starvation, they might feed on vegetation. The mating period lasts for two months, February to March. Individuals often travel great distances in search for a mating partner. After a gestation period of about 50 days, two to seven young are given birth.They are weaned for about 10 weeks and leave their mother’s burrow after 2.5 to 4 months to establish their own den. At about one year of age, they become sexually mature. 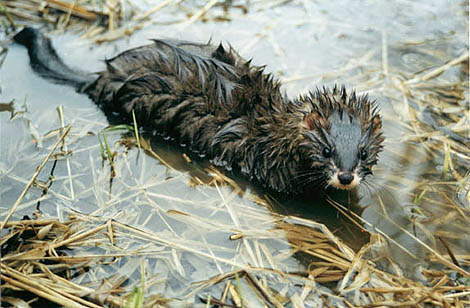 The European Mink is classified as “Endangered” by the IUCN. The biggest cause of this is commercial hunting for their furs that are widely used as a warm fabric for winter. Also, river and lake pollution affects these mammals quite severely and they no longer inhabit most of Central Europe. Also, the recent introduction of the American Mink in Europe has been disastrous, as they’re simply a bigger and more advanced version of the European Mink, outcompeting them in every category. Currently, European Minks are being introduced to a variety of islands and other territories they didn’t inhabit before as a means of conservation. The total number of their population is estimated at around 30 thousand, which is a shockingly low number, resulted by excessive hunting for furs.